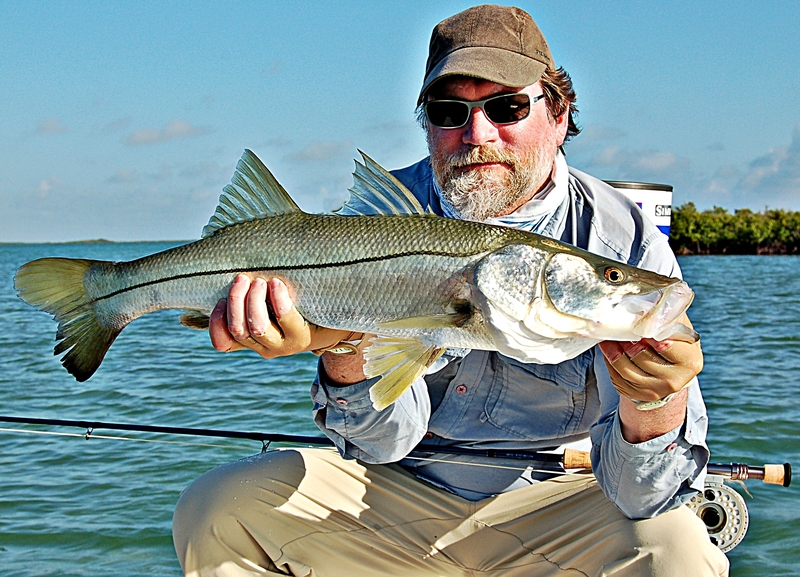 Generally found in the “backcountry” of Everglades National Park, Islamorada snook are another phenomenal gamefish. 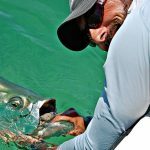 Bucket mouthed and explosive, snook don’t just inhale flies and baits, they destroy them! They are structure seeking gamefish, ambushing prey from the cover of mangrove shorelines. 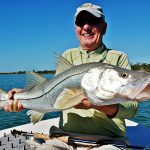 When they are tight to cover they can be a bit tough with a fly rod but in cooler months snook will seek warmth and sun themselves out in the open. It’s a perfect setup for a fly rod! 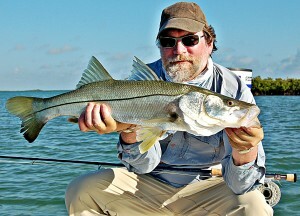 Islamorada snook are common in the 5-10 lb. range with the slob twenty pounder a possibility. If you ever get “snook thumb” you’ll be showing it off to all your friends!